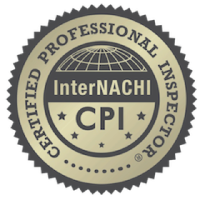 Jason Irish is the owner and home inspector of Monadnock Home Inspections LLC. Before Jason and his wife purchased their first home, they hired a professional home inspector to assess the property’s condition. And although the home inspection met Jason’s overall needs, it lacked something crucially important—a true regard for customer service. That’s why when Jason inspects a home, you can expect him to always put your interests first, giving you and your homeownership goals the attention you deserve. Before he became licensed as a professional home inspector, Jason worked for over 13 years in construction and property maintenance. This experience gave Jason a thorough understanding of how a home should be built, how to recognize deficiencies, and what should be done to improve a home’s condition. As a homeowner himself, Jason knows what it takes to successfully purchase and maintain a home, and he goes above and beyond to make sure that his clients are ready to make a good investment. Instead of handing you an illegible checklist after the inspection is completed, Jason takes the time to create a personalized digital inspection report that will serve as a comprehensive “handbook” for your prospective home. Most homes are flawed in some way or another, but every issue is fixable—and Jason makes sure that his clients understand what it will take to make necessary repairs and to keep the home maintained in the future. Jason is there for his clients before, during, and after an inspection—you can still call him months or years down the road with any questions you have.